The IBEW’s Code of Excellence program ensures that everyone is on the same page when it comes to a job. Our unique approach, a partnership jointly administered by both labor and management, allows our electricians to be more productive. Emphasis is placed on communication, leading to increasing returns on worker productivity, job site efficiency and accountability. Being competitive is about more than just wages and compensation. It’s also about efficiency and accountability. Through classroom training and continuing worksite education, each worker has a clearly defined role and conduct expectation on each job site. 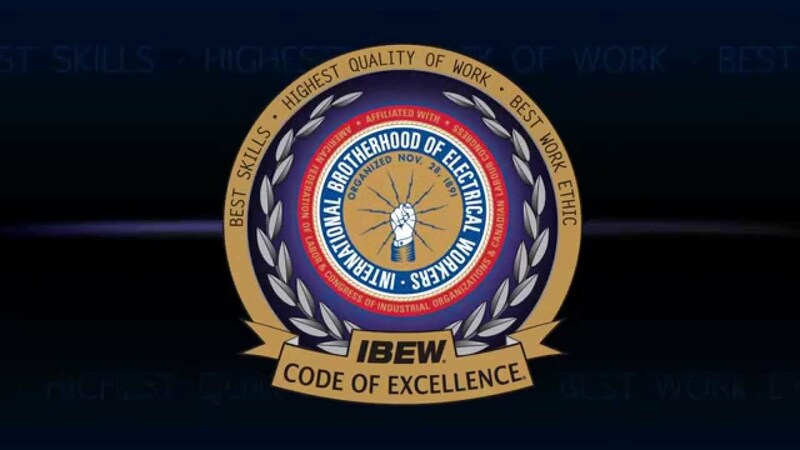 Each electrician in the IBEW is expected to adhere to the strictest standards of professionalism. This creates increased confidence among electrical construction and maintenance users about the value provided by IBEW workers and signatory contractors. By setting clear standards of conduct, accountability procedures and working to educate members, IBEW workers and their contractors are the best value in the business. IBEW Hour Power is an online video magazine that is designed to highlight the pride, professionalism and success of the IBEW. Hour Power is created to increase the professional bond between our members and to showcase them at work to anyone who is willing to watch. Hour Power will allow our members to share tips, win prizes and have a little fun along the way.